Baseball-style cap in 100% cotton twill, 6-panel design. 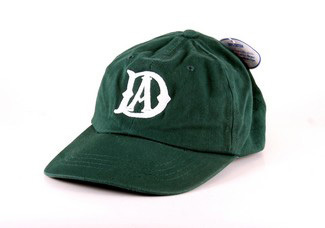 "DA" logo embroidered on front. "DEERFIELD" embroidered over adjustable strap with buckle in back. One size fits most adults. Available in Green only.